Darryl understands freelance clients like you because he's a freelancer himself at heart. He got his start working at an accountancy practice in Johannesburg, South Africa. After qualifying as an accountant in 1999, he moved to the UK, where he's worked ever since. While he's been with a top UK firm and set up two practices of a similar nature, his dream was always to "go it alone." The Accounting Crew is the culmination of three years of planning and a combined 34 years of experience between Darryl and Rowan. Their aim? To do accounting differently, the way you wouldn't expect (and won't find anywhere else). Less of the stuffiness of traditional firms, more availability and approachability. Darryl's personal philosophy is to treat you like family, and to serve you as a trusted partner. He takes his work very seriously, but he also likes to have fun. It's about relationships, personal connections, and proactive advice to keep your business humming along smoothly and profitably. When he's not taking care of clients, you’ll most likely find Darryl spending time with his wife, 2 daughters and young son. He’s also a keen sports fan and an avid reader, especially of inspirational business books (which is probably how he got inspired to become "the Google of the accounting world"). Chat directly to Darryl at 0203 859 6184, by email or Skype, and see if The Accounting Crew is a good partner for your freelance business. Rowan brings a wealth of experience in accounting and finance to The Accounting Crew, dating back to 2001. He's worked for two multinationals in the UK in the construction and travel industries, and for Ericsson AB in the telecommunications industry in South Africa. From 2010 to 2013 he headed up the business finance team for one of Ericsson's global customers, MTN, in Dubai. As a result, Rowan is known for his outside-the-box strategic thinking, and believes in going the extra mile for clients. Outside of work, Rowan enjoys time with his wife, two daughters, and a son. He's also a passionate sports fan, and you might very well run into him at a football, cricket, or rugby match. Chat directly to Rowan at 020 3755 5180, by email or Skype. He'd love to find out more about your business and let you know how The Accounting Crew can help. Jacqui has a wealth of experience which she brings to our clients and The Accounting Crew alike. 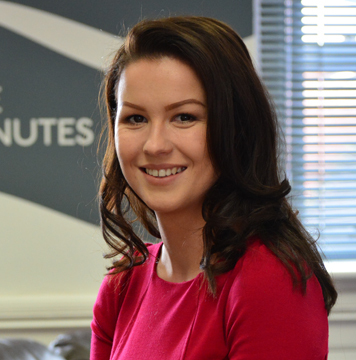 She started her career in accountancy working for a small practice in the Midlands. 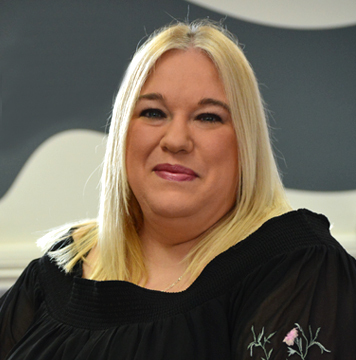 Jacqui then moved on to further her career with a specialist contractor accountancy firm in 2001, and has worked in this bespoke sector since. This has given her more than 18 years’ experience in the contractor accountancy market. 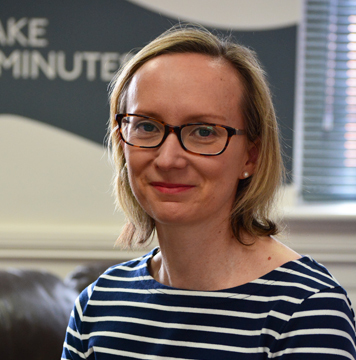 Jacqui, has in the past, managed one of the largest UK accountancy firm’s office in Birmingham which built a client portfolio of nearly two thousand clients during her tenure. This was made up of one and two person limited companies dealing with IT contractors, management consultants, project managers, locum doctors and many other freelance consultants and small business. When Jacqui is not in the office, she spends her time relaxing with friends and family and her beloved cats and dog. Chat directly to Jacqui at 0121 393 1907, by email or Skype. She'd love to find out more about your business and let you know how The Accounting Crew can help. One of our more unlikely accountants, Emily traded a career in the beauty game to give her hand a go at crunching numbers. Her first foray into the accounting world was in finance and debt collection before taking up a position as a junior accountant in July 2016 with The Crew. She has continued her education in the field and has completed her level 2 with a view to being an AAT qualified accountant. Currently she is studying her level 3 with the hope of being qualified within the next 2 years. You can always count on a smile and a joke of some sorts from Emily which keeps the office grounded and team members on their toes. Outside of the office, you can expect Emily to be planning her imminent wedding, taking care of 2 dogs (or any other creature in need of a bit of love, spiders aside!) and an unrivalled dedication to her pink ostrich eraser perched under her desk pot plant. Ikra is one of our more recent recruits to The Crew and a welcome addition to the team. She brings a youthful and cheery air to the office and a dedication to her work that appears to be stiff competition to the rest of us! 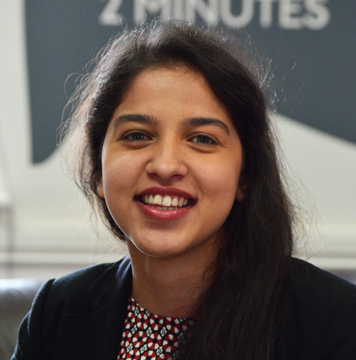 Ikra is a graduate accountant with a degree in Accounting & Finance and through her time at The Crew, she hopes to further her studies and ultimately qualify as a Chartered Accountant. Through her work, Ikra has a real desire to help others and give clients a different impression of the stereotypical accountant – we are allowed to be nice people with a sense of humour and room for a bit of fun! When she is not hard at work, she loves a bit of swimming, is a football fan (You’ll never walk alone, I hear her whispering!) and spends time with her family, friends and most importantly with TiVo, her cat! 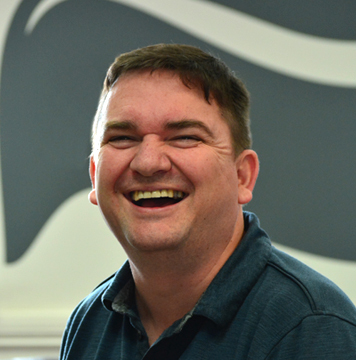 Work life for Russ started in the retail sector in and around South Africa where he remained for 10 years working his way up the retail ladder. 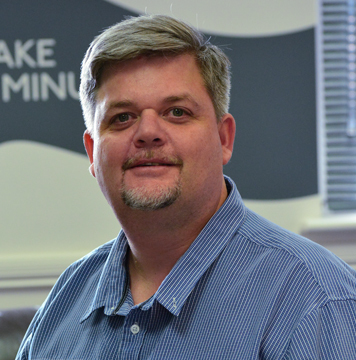 A slight change in career direction meant he then moved on to study IT and worked his way up to Manager of Quality Control within one of SA’s largest IT call centres. But a nagging love of numbers meant that he was always destined to work in the accounting field sooner rather than later. His entry into the world of accounting happened in 2008, where he worked for one of the UK’s largest accountancy firms for a period of 7 years. On joining the Crew in 2017, he now looks to continue in this field. 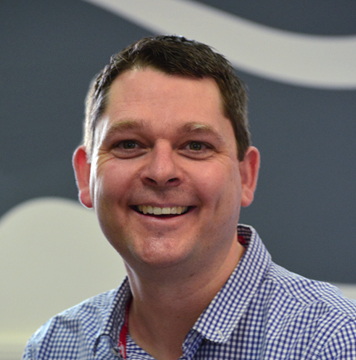 Russ, specialises in all matters relating to payroll and currently runs The Crew’s payroll department, a vital and very busy position, one which he thoroughly enjoys. When not at work, he enjoys spending time with his family and friends. Formula 1 is his sport of choice, but Rugby and cricket come a close 2nd and 3rd. Viki joined The Crew right from the start and has been a part of our administration team. A critical function within our business, her attention to detail is one of her core strengths. However, this is a far cry from her original passion, Microbiology. As a Microbiology honours graduate specialising in Microbial Genetics, Viki has spent time in clinical research at St James’ Hospital in Leeds and at the Clinical Trials Service Unit at Oxford University. This being a world away from her formal training, does not diminish her love for what she does at The Crew and she has a real ambition to ensure that we run the best administration processes we can. 3 kids keep Viki busy most days of the week, outside of working hours, while always keeping a careful eye on all matters medical / biological, an interest that will never diminish! Andy is our most Senior Accountant; the Crew member tasked with looking at how to make our accounting function work better. 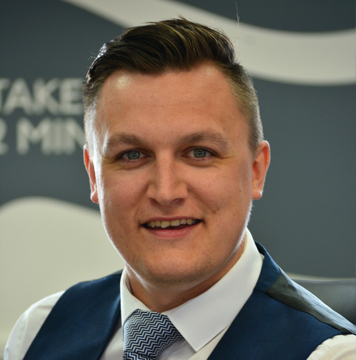 He’s been in the accountancy business since 2007 and worked for both a small and a larger accounting practice until swapping sides and taking up a role with HMRC in 2014. He joined a specialist team at HMRC tasked at offering preventative advice and guidance around Money-Laundering to a vast array of companies. 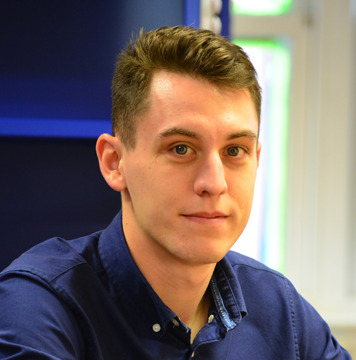 Andy’s time with HMRC added valuable experience to his CV before joining The Crew in April 2018 to head up our Accounts function. He still has so much he wants to improve on and experience to gain and looks forward to doing a great job at The Crew for clients and Crew Members alike in the years to come. Away from the office, Andy will always ensure he is near a football of some sorts. He played semi-professionally in the Midlands leagues until early 2018 when he took his first serious steps into football management which he still looks to progress with today. He enjoys the normal things in life including chilling out with his other half…do I hear wedding bells? Andrew is one of our newest Crew Members when he joined us in September 2018. We at The Crew have the amazing privilege of showing him the ropes; this is his first role within an accounting practice having made a career decision to take up studying accountancy. He recently relocated from North Yorkshire to Stratford-Upon-Avon with a view to a fresh start. Andrew spent time in the Army in his younger years before giving it his all in playing professionally as a golfer. Having given himself the best opportunity possible and narrowly missing the cut to qualify for a shot at playing professionally, he knew his future lay in a different profession and turned his attention to numbers. The passion is still there for his golf which he actively pursues in his spare time but the objective now is to progress in his studies and ultimately qualify as an accountant. So sport forms a massive part of Andrew’s life outside the office (Newcastle United…..Shearer!!) and is settling into life brilliantly here at The Crew and Stratford-Upon-Avon in general. We look forward to seeing his development in the years to come.